As I mentioned in this post, each month I’m spending some of my devotional energy on one of the spiritual disciplines discussed by Richard Foster in Celebration of Discipline. Last month was prayer, and the next chapter is fasting, so June has theoretically been the month of fasting. Fasting is an interesting discipline, and can be hard to talk about. It is very seldom practised today, and has in the past been used as a demonstration of feats of devotion to Our Lord that lead to pride. So when people talk about their own fasting, they may feel pride. Or they may feel proud that they aren’t proud. Or they may feel proud about their honesty that they struggle with fasting. Or … and so forth. For many, fasting is a source of spiritual breakthrough. No doubt it would be so for more, if only more of us actually fasted with some semblance of regularity. Mortifying the flesh is never enough. This is the mainstream patristic consensus. We may have to mortify the flesh in order to gain a body (Sergei Bulgakov), but if fasting or vigils or standing on pillars or wearing hair shirts or inverted hedgehog vests is not combined with other disciplines, it is meaningless. A brother said to an old man: “There are two brothers. One of them stays in his cell quietly, fasting for six days at a time, and imposing on himself a good deal of discipline, and the other serves the sick. Which one of them is more acceptable to God?” The old man replied: “Even if the brother who fasts six days were to hang himself up by the nose, he could not equal the one who serves the sick.” Here we learn that love is above fasting, that we must not presume to put our fasting above “the more excellent way,” the “new commandment” to love one another. The Western Fathers, you will be pleased to know, agree. Leo the Great believes that fasting can help cover our sins (and whether you agree with that theology or not, the second half is important), but only when connected to acts of charity and compassion for the poor. St Augustine is similar, maintaining that of the two, it is acts of mercy and charity that are more important. If you give alms without fasting, that can still be a good work. But fasting without the other virtues is mere flesh. I do not write today’s post to discourage fasting. Far from it! Would that many more of us observed both fasts from all food and abstinences from others on a regular basis! But when we fast (as Our Lord says it, not if) we should ever be seeking the Giver of good gifts as well as to do good deeds ourselves. One recommendation I read somewhere (I think it was in something by Richard Foster, but it seems not to have been Celebration of Discipline, so that could be a false attribution) was to pray about a specific topic when we fast. Say, a temptation that has besetting us. Or maybe you know of someone who has a big test or an important meeting at work — you could fast and pray for them that day. Or fast and pray for persecuted Christians. Because it’s Lent, and because it’s a good habit I’d like to re-acquire, I fasted last Friday. Until lunch time. That would be a fast fail. To ease my body into the world of fasting, I was only going to skip lunch, you see. All went well at the beginning. Every Friday is Bacon Roll Friday, so after I’d finished my bacon roll, I was set to go foodless until supper. I went to work, and sat down at my desk, where I was reading a book about Leo the Great. After a couple of hours, I got a little hungry. That’s the way I am, but even when not fasting I’ve been making myself either hold out until lunch, anyway, or eat portions of my lunch throughout the day so as not to overeat. Tall, ectomorphic men can be overweight without looking it. Anyway, this was fine. I was brushing up on my fifth-century history. 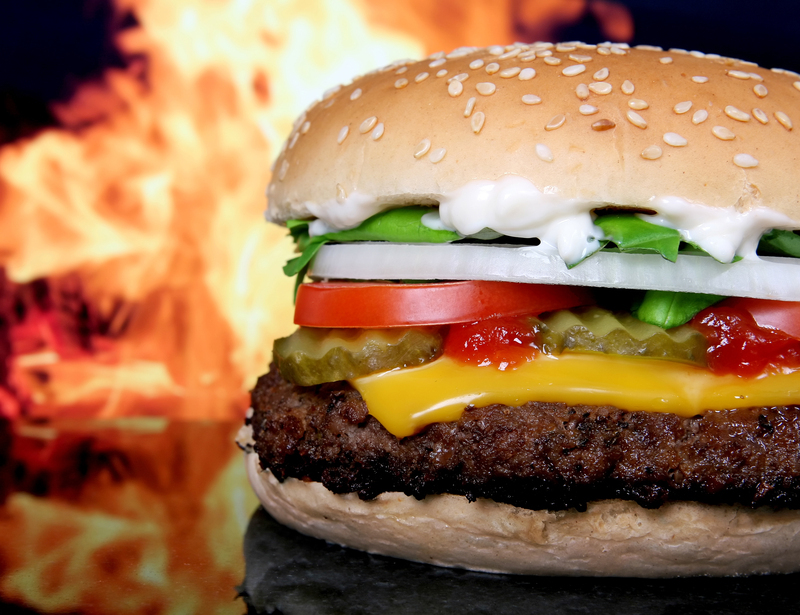 But around noonish, the problem went beyond hunger. I have been a student for most of the past 11 years. I sit hunched over desks and tables for a living. Well, I’m not supposed to hunch. But it is hard not to. Especially if you are hypermobile like me. This means that not only am I really flexible (an asset when I was a dancer), and not only do I hyperextend most of my major joints, it is also really easy for me to slouch, and when I slouch my slouch goes farther than that of the average man. So I started getting a pain in my left shoulder blade, extending down through my entire arm. This happens. I have exercises that, in the long term, will make it better, but nothing can make it go entirely away in an instant, even if I sit with good posture. One thing does help, though. Ibuprofen. But I checked the Internet and the box of the Ibuprofen, and you’re not supposed to take it on an empty stomach, especially if you take it fairly often. It can give you ulcers. And then I got headache. So that was enough of that! The pain and the hunger were making it impossible for me to focus. So I closed the book about Leo (it’s not an especially good one, anyway), and off I went home to have some lunch, Ibuprofen, and then worked from there for the afternoon. I tell you this story because very often people like me blog about triumphs. Or we don’t even blog about our own triumphs and struggles, but about the theory or the advice of others. Rather than telling of my own weaknesses in the spiritual life, I make myself appear an authority by providing for you the wisdom of the Desert Fathers or John Cassian or Elder Thaddeus of Vitovnica or John Wesley or Leo or Ambrose and so forth. But I am, as stated in my last post, just a patient in a hospital discussing remedies with fellow patients. And some of the remedies I haven’t really tried that often. And sometimes, things just don’t work like they do in The Sayings of the Desert Fathers. And we need to realise that, chances are, the Desert Fathers faced these same issues, too. 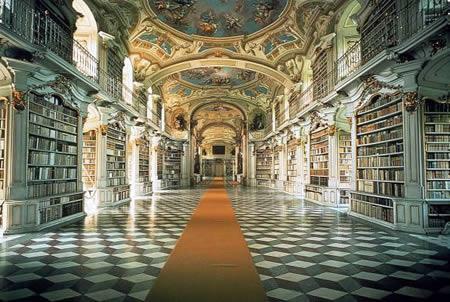 Library of the Benedictine Monastery of Admont; not quite what the Egyptians had in mind! Perhaps the impending arrival of that High Holy Day for my American friends, Black Friday, caused this to come to mind; perhaps the proximity to Advent and, therefore, the shop-fest leading up to Christmas; perhaps it was the Holy Spirit — whatever the source, the other day a saying of the Desert Fathers (or Mothers) came to mind. I don’t remember which collection of Sayings (Apophthegmata) or stories this particular saying comes from although I know it was not The Sayings of the Desert Fathers, Sr. Benedicta Ward’s translation of the Greek alphabetical collection. Probably the Latin systematic collection (trans. 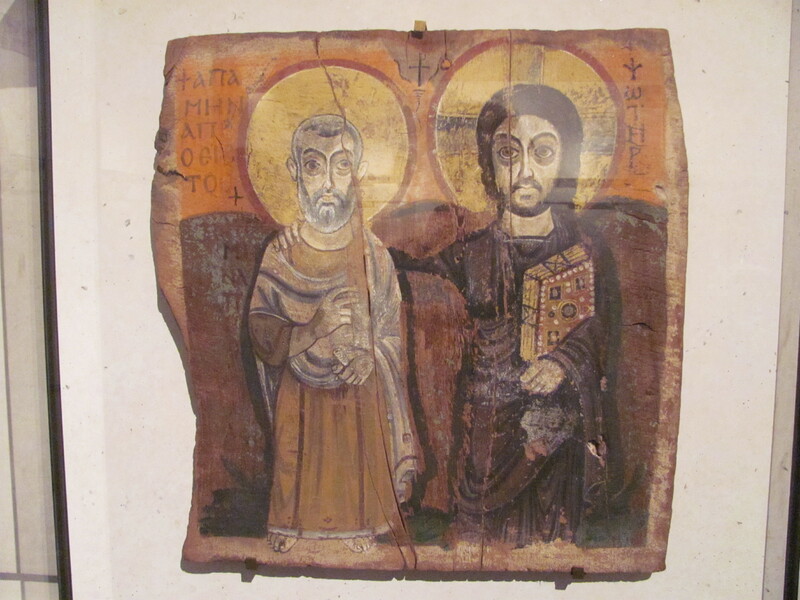 by Sr. Benedicta for Penguin, The Desert Fathers: Sayings of the Early Christian Monks), although part of me wonders if it was the Lausiac History of Palladius. Now that I’ve bored you with my uncertainty of the source, the story, as I recall, is that one day one of the Desert Fathers was walking along and came upon the cell of one of the brothers. He came on inside, and there he beheld several books on a shelf. He scolded the brother for having accumulated all these books, telling him that these books are bread for the hungry, clothing for the naked, medicine for the sick. The story is evidently part of the network of various stories, sayings, and teachings found in the different collections and recensions and translations of Apophthegmata, hagiography, travellers’ tales, letters, and so forth, that seeks to create the image of the true monk as being an uneducated peasant or a wealthy person who has rejected education for the simple life of the contemplative mystic, turning aside from Greek philosophy and the false wisdom of much theology for the true wisdom that comes directly from God. 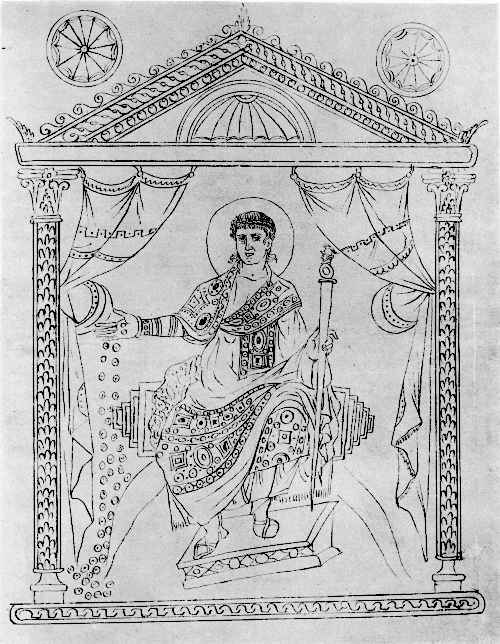 Such ‘true’ monks no doubt existed from the beginning, but it was not until the First Origenist Controversy at the turn of the fifth century that they were held up as the paragons of true monasticism in opposition to those — such as Evagrius Ponticus — who were tainted with worldly wisdom and education. 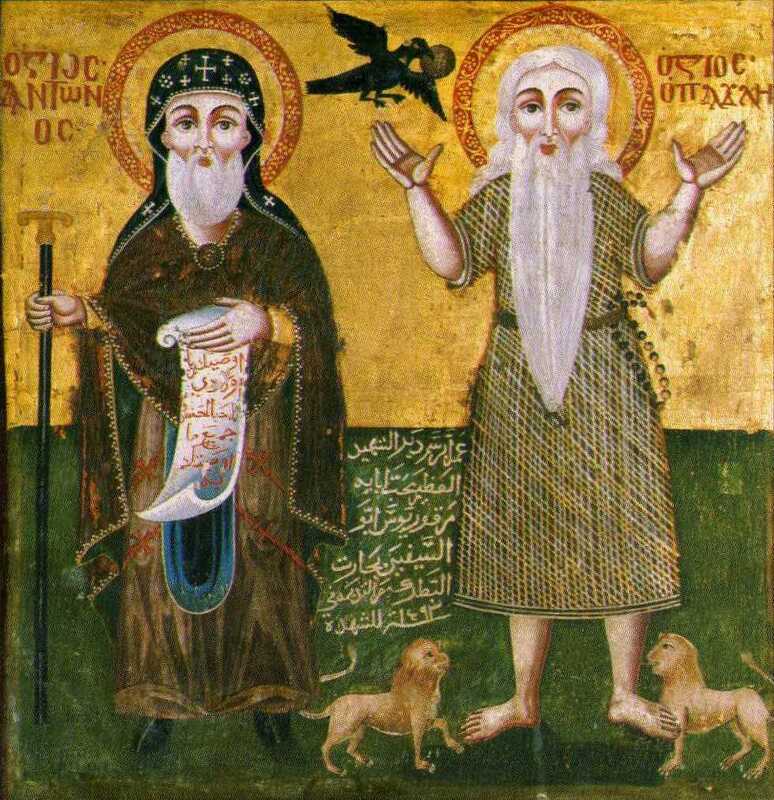 From henceforth, this dichotomy continually arises in our literature about the Desert Fathers and Mothers, from Egypt through Palestine into Syria, into the sixth century and re-emerging throughout the centuries in such quarrels as the Hesychast Controversy involving Gregory Palamas (on whom I have written this) in the 1300s. However, take caution! Be wary of these sources. These wee, memorable Sayings claim to be the direct truth and represent the earliest layer of monastic tradition. However, the collections of the Apophthegmata are mostly fifth- and sixth-century in origin. They will be edited accordingly, following the First and even Second Origenist Controversies. 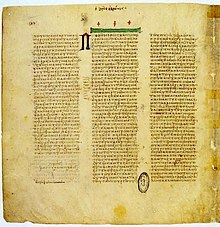 And other sources, such as the sixth-century Lives of various Palestinian monks by Cyril of Scythopolis, are highly partisan in the Origenist controversies which always pitted simplicity against wordliness and philosophy. I don’t think this saying and many of the others about learning and books actually represent an anti-intellectualist strand in earliest monasticism. I would counter that this particular saying is actually about the accumulation of wealth, what I have called ‘intellectual consumerism.’ Books in the ancient world are highly valuable objects; it costs a lot to make a book entirely by hand, whether of papyrus or vellum (the story, in Egypt, would be about papyrus books). It was a criticism of gathering up things that moth and rust can destroy, not about learning from books. However, we do have references throughout our sources that are decidedly anti-intellectual. I would argue that these are not about learning per se but about a. pagan learning vs. Jesus who is the Truth and b. humility. Humility is a pervasive monastic virtue, and — as the Scriptures say — knowledge puffs up. Therefore, intellectual folks need to be put in our place. We are no better than our less-educated Christian brethren. And we should remember that. When the First and Second Origenist Controversies broke out, these sayings took on a life in polemic. Suddenly, rather than being about humbling the proud — intellectual or not — they were about winning a fight, about proving that your Origenist opponents were heretics steeped in pagan learning and un-Christian philosophy, regardless of the truth. 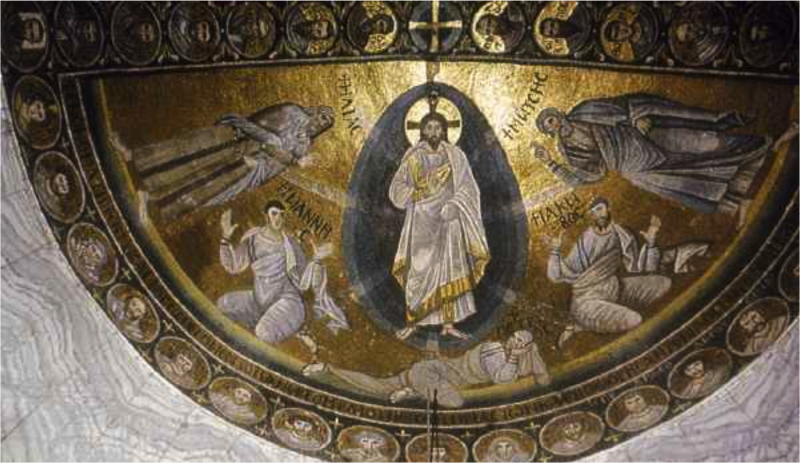 Daniel Hombergen, The Second Origenist Controversy: A new perspective on Cyril of Scythopolis’ monastic biographies as historical sources for sixth-century origenism. Studia Anselmiana. AMC Casiday, Tradition and Theology in St. John Cassian.